The world has never been more connected than it is today. According to Gartner, there will be 21 billion smart devices in use by 2020. The Semantic Web envisioned by Tim Berners-Lee is getting closer. The Internet of Things (IoT) offers many great opportunities, especially for insurers. For this month’s InsurTech Insights, Rick Huckstep talks with Cozify about launching the first ever smart insurance product in the Nordics. According to Statista, the global IoT (Internet of Things) market is forecast to be worth $1.7 trillion (USD) by the end of next year. It was a mere $485 billion in 2013. The latest from Gartner forecasts the number of connected things will be 20.4 billion by 2020. Of this, the consumer segment will account for around 60% of the market. Which is why, for the property insurance market, this growth in IoT is a massive opportunity for insurers. IoT enabled smart insurance is a win-win proposition with many benefits for customers too. Digital sensors around the home provide real-time proactive alerts. Instead of waiting for the ceiling to fall down, a sensor like a Water Hero can detect and turn off the water supply before the slow escape of water builds up over a period of time. By connecting a sensor to the home’s water pipes, flow can be monitored continuously. As soon as an anomaly in flow rates is identified, the customer and/or insurer is alerted to take proactive action. When you consider that about a third of household insurance claims are linked to water leaks, this is a big incentive for insurers to act. And whilst it won’t stop every incident, it will minimise and even prevent a lot of them. Which means that insurers have lower costs, customers have lower premiums and less hassle. It also signals a fundamental shift for insurance as more than just a financial safety net. The current model of (just) compensating losses will move towards insurance as a proactive risk manager. Insurance is (going to be) all about engagement. 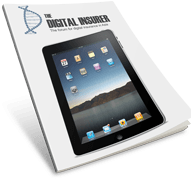 This is where insurance provides value in the form of an ongoing service instead of being (simply) a policy document lost somewhere in the digital filing cabinet. With engagement insurance, customers get something in return for their premium other than the peace of mind that they have financial protection in place. When it comes to smart insurance, this is in the form of comfort and convenience. Through the smart insurance app, the customer is provided with features that go beyond the management of the insurance policy. My favourite example is the ability to set a Spotify playlist to wake you through your Sonos speakers at the same time as the bedroom lights come on slowly. That definitely beats the old fashioned alarm clock! For many consumers, smart homes still falls into the tech/geek category and this is a real barrier to mainstream adoption. However, because the smart homes features are presented in an insurance app, this demystifies the technology resistance and makes it accessible to a wider audience. For me, the big trend over the next couple of years will be personalisation of insurance. Instead of every home on the same street having the same risk rating, each home can now be rated based on the differing risk behaviour of the occupants. The blunt instrument approach to single point in time pricing across all personal lines will be replaced by automated, continually updated risk assessments. These risk assessments will be enabled by the automated analysis of data collected within the smart home. This analysis will in turn provide personalised insight on the customer’s behaviour and attitudes towards risk. As a result, insurance premiums will be adjusted over much shorter periods to reflect real and changing customer behaviour. For now, this data is being collected by the insurer for their own use in providing smart insurance. But in the not too distant future, this will change and customers will own all their own data. This will apply to telematics and wearables, as well as IoT in the smart home. Customers will offer this data to insurers and third parties to quote for new business. This is most likely to be enabled with distributed ledgers/blockchain and cryptocurrencies, like IOTA. According to Benjamin Cabe in this article for DZone, the IoT opportunity falls into three areas – Monetization of IoT data, enabling Smart Contracts and device security. The longer it takes to settle an insurance claim, the more it costs the insurer and the more it antagonises the customer. It is in everyone’s interest to settle sooner rather than later. But this means customer’s providing all relevant information quicker. And insurers spending less time looking for fraud. With IoT-enabled smart insurance using DLT/blockchain smart contracts, the claims process will be speeded up. The technology provides a reliable and instantly available data trail that removes a large dependency on the customer collecting and submitting evidence. And because the evidence is from a trusted source, the pay out can be automated. If there is a need for human intervention, the insurer’s claims handler will spend less time looking for the reasons not to pay out. When you add reductions in claims handling costs to the reductions in claims pay outs (see point 1 above), it is easy to see the upside for insurers. Which of course leads ultimately to lower premiums for customers. In the second half of 2017, there were a number of announcements of smart home InsurTech platforms going to market with insurance brands. The one that interested me the most was when Cozify announced they were the first to market in Scandinavia. In September, Cozify and LahiTapiola (Finland’s largest mutual insurer) announced a partnership for a smart insurance product. This combines comprehensive home insurance cover with the Cozify smart home management system. Rather than me explain what Cozify does, watch this YouTube video to find out more. Cozify have found that customers have been remarkably receptive to the idea of smart insurance for the home. This is because it is packaged as an insurance product and not as a technical solution. To make the point, Antti shared with me the translated version of an article about a Finnish customer. (Finnish is absurdly difficult for machines to translate, so some of it may not always make sense but you will get the drift in translated version here). And the drift is that the Finnish customer hadn’t considered buying a smart home system until they saw the offer from their insurer. However, when they saw a reasonable price and an easy to use product, they decided to give it a try. To their surprise, they found the smart insurance product more useful than he expected. What does the Cozify smart insurance platform do? Cozify is a platform service that takes care of all the smart home and IoT tech requirements for the insurer. What the customer sees is a home management system for connected devices. In a world where there are different standards and ways to connect, Cozify make this easy whatever the connected device. Antti explained, “Cozify is an open platform that connects with a large number of devices. We cope with the fragmentation of standards by being able to pair with devices using multiple connection standards. Not just WiFi and Bluetooth. ”All new customers are sent a starter package that includes the Cozify hub and six devices and sensors. This is enough to enable the insurer to provide the smart insurance cover they have built into the product. For LahiTapiola this covers water leaks, burglary and fire. I’ve been saying this since 2015. And I still believe it to be true. And the reason is that the thrill of getting a good price is fickle. It’s a short lived emotion and gone before you know it. Whereas convenience is continuous, sustainable and remains valuable to us in our ever increasingly busy lives. Of course, there is a limit to this notion, but customer surveys already show that people will pay a premium of 10% for convenience. Iot enabled smart insurance ticks the ‘convenience’ box when it is adopted as the controlling app for the smart home. This is where insurer’s marketing and product development teams need to be smart themselves. By creating insurance offerings that integrate with the engaging features of the IoT enabled smart home. Sure, consumers don’t need an insurer’s app to run their smart home, there are plenty of ways they can keep insurance separate. But, when insurer’s are smart enough to integrate the insurance product with the smart home, they create a 1+1=3 value proposition. And I don’t just mean only using a “10-15% discount on the premium” approach. That’s a distribution play and offers no ongoing value to the customer. Is IoT the next big step towards the Semantic Insurer? The Semantic Web is a term coined by Tim Berners-Lee to describe a web of data that can be processed by machines. The concept that the Internet has a conscience and it knows all about us is no longer a fanciful notion. It is well on its way to becoming a reality. In the foreseeable future, our everyday routine and mundane tasks will be taken care of by automated technology that ‘just happens’. The Semantic Web is about the Internet knowing all about me and what I want and need. Then making sure that I get it when I need it. Just look at the Amazon Echo or Google Home. Today they react to requests but soon, they will be talking back. It’s coming! In the world of insurance, the Semantic Insurer is also coming. Here, the automated, machine learning insurer knows enough about me to figure out what cover I need without me having to ask for it. The semantic insurer knows what I’m doing, where I’m doing it, why and how I’m doing it. They know all they need to know to provide me with the insurance cover I need, when I need it. Insurance will be turned on and off in micro durations to match my needs. And without a form to fill in or comparison website to navigate. Just imagine Trov. Again, this is a subject for another article. Coming back to the here and now, I asked Antti to summarise the impact of IoT and smart insurance for insurers and customers. “The results already confirm what we believed to be the case. That insurers are well positioned to take advantage of IoT and smart home technology. 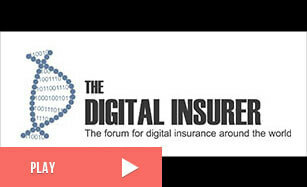 Rick Huckstep is Chairman of The Digital Insurer. Rick is an InsurTech thought leader, keynote speaker, advisor and investor to tech start-ups.